Some sales ops teams think that they are doing analysis, but what they are really doing is reporting. Yes, they have run their numbers through all the “analytics” tools at their disposal, and they’ve created some pretty charts that show ongoing trends. But they haven’t really dug any deeper. They haven’t uncovered the insights — the intelligence, if you will — that tells them what they need to know. Let me explain with a story drawn from one of our national intelligence agencies. In 1962, Dino Bruglioni worked for the National Photographic Interpretation Center (NPIC), a joint CIA/Department of Defense project tasked with making sense of the photos taken by America’s spy planes. If you recall your history well, you might remember that 1962 was the year that the NPIC discovered missiles in Cuba. Ballistic missiles with the capability to reach the United States. Now if Bruglioni and his colleagues had done mere reporting on these photographs, they could have told President Kennedy and his advisors how many missiles were on the island. They could have counted additional missiles as they were put into place and created a nice graph with a trend line that showed the threat was increasing. They might also have estimated how many workers could be housed in the buildings around the missile site and even have put together a best guess about how much the whole installation cost. But all those numbers would not have given Kennedy the information he really needed. The big question was who was behind this military build-up in Cuba. Fortunately, Bruglioni and the others didn’t stop at mere reporting. They did some real analysis. They spotted some soccer fields on the photos and wondered why Cubans, who have a passionate love for baseball, had suddenly developed an interest in a new pastime. It would have been easy to dismiss the sports fields as an anomaly. After all, the U.S. government wasn’t spending millions of dollars on U-2 missions in order to analyze Cuban athletic trends. But the analysts followed up on their intellectual curiosity, trying to figure out why the soccer fields were there and what it might mean. That’s the kind of analysis sales ops needs to provide. No, we’re not suggesting that you need to comb through your sales data looking for secret actions by Russian agents that are going to affect the fate of the entire world. But we are suggesting that you look beyond the numbers and ask questions that no one else is asking. Don’t just tell management what is happening, dig into root causes and give them a good explanation for why it might be happening. This kind of insight can be truly invaluable to a company. But it requires gifted analysts who have been well trained and who are willing to sift through data that might seem inconsequential in order to find the information that has real meaning. It requires a strong effort to avoid the lure of complacency, go beyond reporting, and do some real analysis. 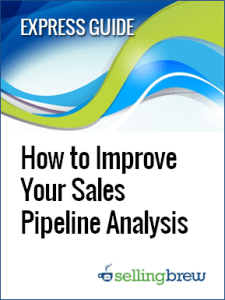 In this on-demand training webinar, we share the fundamental concepts and principles behind effective sales analysis, expose the critical building blocks that need to be in-place, and walk through a basic analysis example to pull everything together. 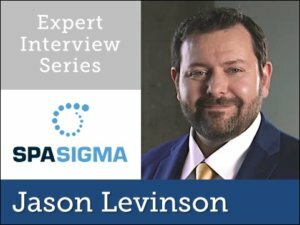 In this Expert Interview, Jason Levinson discusses the latest methods and innovations in negotiation training for salespeople. Closing the negotiation skills gap is not a hard as you might think! In this SellingBrew research report, learn how leading B2B companies are protecting their future revenues and profits with innovations in customer retention and defection detection. We'd like to think that customers are always rational when they consider the price on a deal...but they aren't. In this guide, Mark Dresdner exposes eight factors that play an important role when a potential customer evaluates a price.